Road Trip East or West? I’ve always loved to build things. When I was kid, I helped my father roof and remodel parts of my childhood home and assisted with various home improvement projects for relatives. Construction has always been a passion of mine, so I decided to make a career out of it. I joined the Laborers Local 79 Union in New York City. 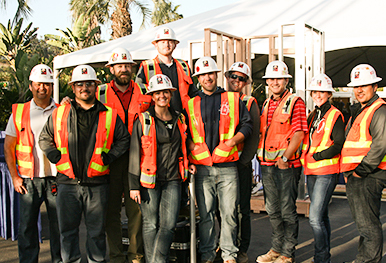 After working as a laborer for three years and upon the advice of co-workers, I packed my bags and moved to sunny California to pursue a more advanced career in construction management at Chico State. Every summer, I went back to New York to work as a laborer earning full journeyman wages to pay for college. Competed in the Associated Schools of Construction Competition in Reno, Nev. During the event, I had the opportunity to interview for an internship with McCarthy. Joined the student chapters of the Construction Management Association of America and Design-Build Institute of America. Interned with McCarthy on the University of California, San Diego Health Sciences Biomedical Research Facility II project in La Jolla. The project was in its earliest phases of construction, so I helped with the concrete foundation work, which McCarthy self-performed. I had the opportunity to work with an experienced superintendent who trained me well. Building complex structures is challenging, but if you love what you do, it doesn’t feel like work. 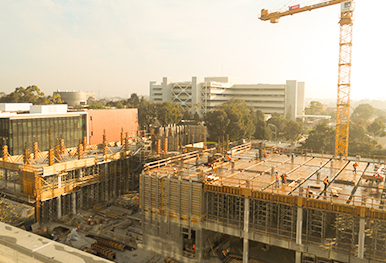 Graduated from Chico State with a bachelor’s degree in Construction Management and accepted a position with McCarthy as a Project Engineer on the UCSD Biomedical Research Facility II project. The ability to get back to work on this one of a kind, LEED Platinum, advanced research facility after graduating from college allowed me to see the complete project through. From footings to punchlist, it was a great experience! Earned LEED Green Associate Certification. 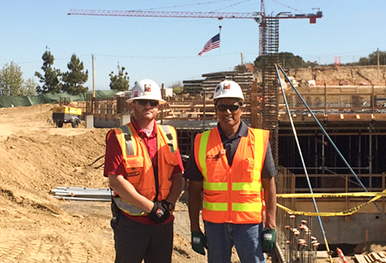 Promoted to Senior Project Engineer after completing the UCSD Biomedical Research Facility II project in 2013. The 196,000-square-foot research building earned LEED Platinum Certification as well as other notable industry awards. I loved what I was doing and was hungry for more, taking on more responsibilities at every opportunity. Promoted to Assistant Project Manager responsible for MEP work on the BioMed Realty Trust i3 Campus project. 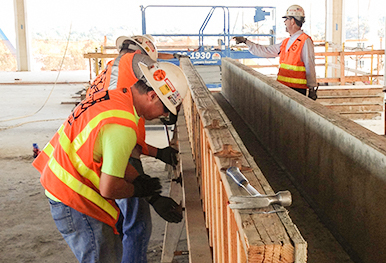 Visible from the 805-San Diego Freeway, the $80 million project includes three-levels of below-grade parking, a podium level and three individual three-story buildings on top of the structure. Participating in such a high profile project that I’ll drive by for years to come gives me a great sense of pride. Only at McCarthy do we get to build the biggest, toughest, and most iconic projects. Completed McCarthy Management 101 Training. In construction, there is always more to learn. Immerse yourself in all aspects of the business, ask questions, and don’t be afraid to try something new even if you might make a mistake. 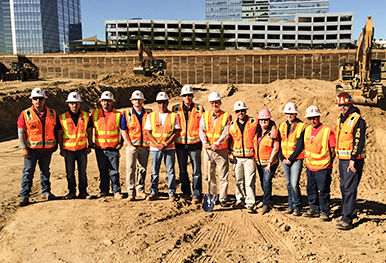 Training champion for the McCarthy Project Manager Development Group and of our Senior Project Engineer Training. Conducted a presentation on LEED at San Diego State University. Judged SkillsUSA Carpentry Competition. This carpentry competition showcases the construction industry and demonstrates the rewarding career paths and opportunities available in today’s high school and technical college programs. I treat people the way I want to be treated. Just as others at McCarthy have done for me, I take pride in passing along my knowledge and helping co-workers, clients and subcontractors reach their goals.